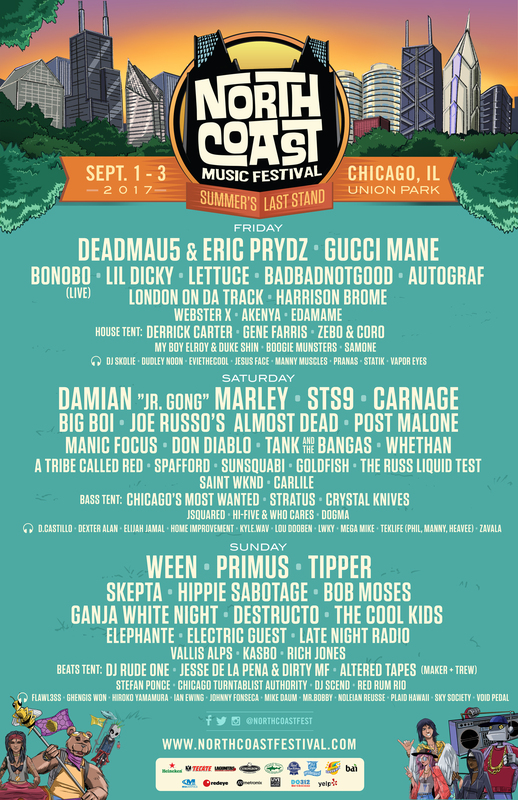 The North Coast Music Festival also known as “Summer’s Last Stand” is set to kick off this Friday, September 1st running through to Sunday, September 3rd at Chicago’s Union Park. With a lineup that features the best from multiple music genres, there’s no doubt thousands of fans will turn out to turn up at one of Chicago’s last outdoor music festivals of the year. Festival goers can expect to be granted entry to NCMF at 3pm when gates officially open on Friday. As with most festivals, the North Coast Music Festival will have a strict No-Reentry policy – what that means is once you’re in, you can’t exit and plan to return at a later time. Also unlike other festivals across the country, this festival is for all ages, meaning you can bring your young Gucci Mane fan along this time around. Also be sure to to get caught up on artist set times so you don’t miss your must sees. The site also lets you can make a custom schedule to your liking. Union Park may not be a huge park, but it sure can pack a lot. 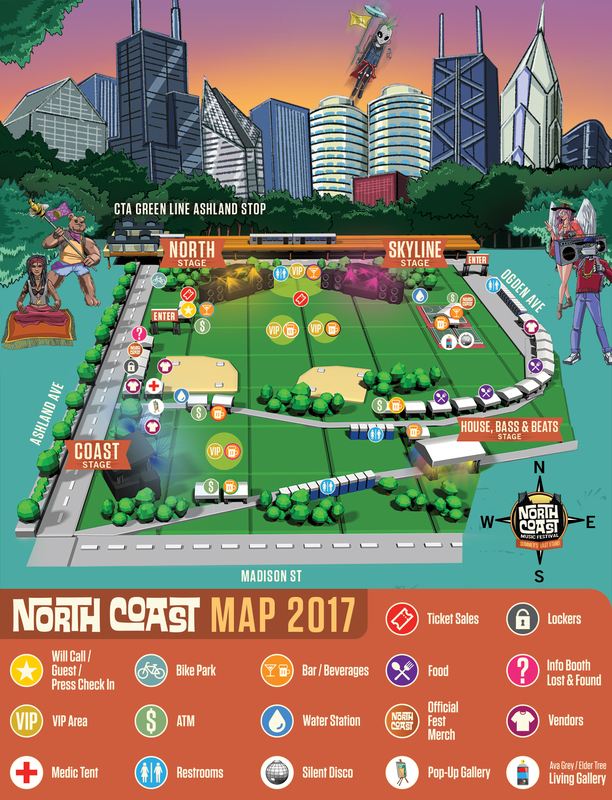 So it’ll be a great idea to get a sense of the lay of the land – Check out the map below showcasing the layout of the festival featuring each stage, vendor, and of course the bar/beverages stations locations. Select 3-Day, 3-Day VIP, and Single Day tickets are still available, you can grab a pair here. After the gates of Union Park close up shop for the night, keep the party going with official Aftershows featuring the likes of Deadmau5, Gucci Mane, Carnage, Manic Focus, and more. React Presents has also announced the return of Freaky Deaky with some slight changes –See the city-by-city lineup here.